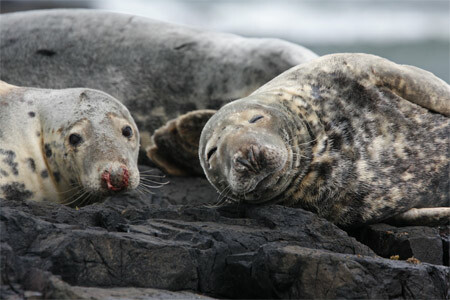 Have you ever tried to do a 10,000-piece jigsaw of grey seals on a grey rock in a grey sea under a grey sky? Tricky, isn’t it? The key to doing a jigsaw puzzle or writing a description is attention to detail. Everything matters: the mood, the setting, the period, the action, the characters – everything that our five senses can tell us and more. To try and produce the very best description you can when faced with any English exam that includes a composition question, it’s important to approach it in the right way. Common Entrance exams at either 11+ or 13+ usually offer a choice between a story, an essay or a description, perhaps of a photograph or illustration. If you choose the description, make sure you know something about the subject or at least have a good enough stock of synonyms or specialist vocabulary to describe it properly. If the picture is of a horse in a tack room bit you don’t know anything about horse riding, leave well alone! We always write more imaginatively and at greater length if we’re writing about something we like or enjoy, so try to find a question that gets an emotional reaction out of you. If you like beautiful things, then you might respond better to a photograph of a sunset in the Maldives than a montage of burnt-out cars in Beirut! This is where attention to detail is most important. Before you take the exam, make sure you have a mental checklist of all the aspects of a scene that you might need to describe. Once you start planning your description, take a sheet of paper and divide it up into sections (or use a mind map with different bubbles for sight, hearing, taste, touch and smell). Make notes based on all five senses. Even if you can’t think of anything to write about one of them, such as ‘taste’, use your imagination. If it’s a seascape, is there the tang of salt on the air? Can the sailors smell land? Think creatively about how to approach the description. A little bit of plot or context goes a long way to creating an appropriate mood, so think about topping and tailing the piece with one or two sentences about the observer. What’s the point of view of the narrator? Is he or she a spy, a pilot, a soldier or a scientist? Is he or she deaf or blind? Would it be better to write in the first or third person? Even if you don’t decide to tell part of a story, think carefully about what the atmosphere of the scene should be. Every situation will demand a different mood or tone. Do you want it to be peaceful, suspenseful or frantic? What’s about to happen? Is it an ambush, an escape plan or a drug deal? The atmosphere should be reflected in the vocabulary you choose to describe the scene. Make a list of the words that have the right associations or connotations, including ‘wow words’ or ‘golden words’ that you think might impress the examiner. Think of as many synonyms as you can. Why ‘destroy’ when you can ‘annihilate’? Why should a tree be plain old ‘green’ when it could be ‘verdant’? Writing descriptively is not the same as writing an essay or doing a comprehension. You don’t need to be brief and matter-of-fact all the time. Think of different poetic devices you can use to make the characters or objects jump off the page. Can you get over the atmosphere or the emotion better with a simile, a metaphor or onomatopoeia? Is the sun in the Sahara desert ‘rather warm’ or ‘as hot as the furnace in the forge of Hell’? Failing to plan means planning to fail. I’ve read hundreds of compositions written by pupils of all ages, and it doesn’t take long to realise when something hasn’t been planned. You don’t need a plot here necessarily, but you do need some sort of structure. Look at the ideas that you came up with during your brainstorm and decide how to group them together. Draw up a brief outline on a clean sheet of paper, listing the different paragraphs and including bullet points for each with the subject matter, key concepts or particular words that you want to use. What needs to go first? How are you going to finish? Are you going to take each sense in turn? Should you describe the different parts of the scene one by one, the lake followed by the mountains and then the village? Stick to the plan. It’s all very well having a plan, but getting your head down and writing the whole answer without looking at it is no better than not having one in the first place! If you do have a good idea that you want to include, by all means add it to the plan, but make sure you don’t get carried away and write too much about one topic, leaving too little time for all the others. You don’t get any marks for answering a question that’s not even on the exam paper, so make sure you don’t get tempted to wander off the beaten path. Re-read the question now and again. Are there any special instructions? Are you doing exactly what you’ve been asked to do? Are you covering every part of the question? Write as quickly as you can. I could never write as much as I wanted to, and one of the professors at my Oxford interview actually complained about it! I had to tell him I hoped that I was giving him ‘quality rather than quantity’, but I wish I’d been able to hand in six sides rather than four! You don’t have much time, so don’t spend a whole minute searching for the perfect word when another will do. You can always come back to it later when you check your answer. Check for spelling, punctuation and capital letters (as you should for any piece of writing in English). Check you haven’t made any other silly mistakes, either grammatical or stylistic. Make sure you’ve said what you want to say, and feel free to cross out the odd word and replace it with a better one if you can. Just make sure your handwriting is legible! This entry was posted in Teaching and tagged 11+, 13+, composition, description, English on September 18, 2013 by Nick Dale.